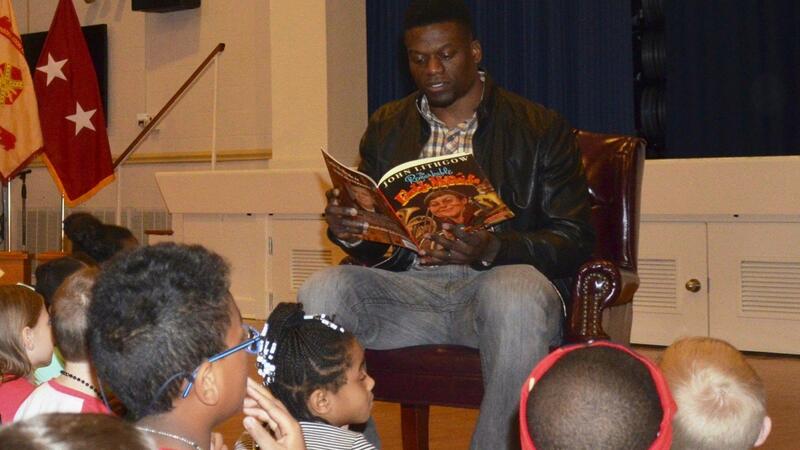 WASHINGTON, D.C. – Benjamin Watson has been named Week 17 NFLPA Community MVP for donating and raising more than $100,000 for 15 charitable organizations through his “Freedom Friday” campaign during the 2018 NFL season. In September, the New Orleans Saints tight end launched “Freedom Friday,” where he and his foundation, One More, pledged to donate $5,000 to 15 charities that he has previously partnered with during his 15-year career. Along with making his monetary contribution every Friday, Watson used his social media channels to encourage others to give and volunteer with that week’s organization. By the time the campaign ended on Dec. 28, he had helped raise more than $100,000 in support. The honored non-profits included All-Pro Dad, which encourages men to be great fathers; International Justice Mission, the world’s largest anti-slavery/human trafficking organization; Boot Campaign, which provides life-improving programs for military families; and World Vision, a Christian organization working to help communities lift themselves out of poverty for good. Last month, Watson announced that this would be his final NFL season. In his 15 years, he has made a tremendous impact on and off the field. His One More foundation serves as a vehicle to carry the hope and love of Jesus Christ to those who need it most while also working to meet their physical needs. In December, he hosted his 10th annual Big BENefit event, which provides holiday gifts and a surprise dinner for 25-30 underserved families. And Watson has continually poured his passion for others into community work through countless avenues, including the 15 charities recognized during his Freedom Friday campaign. In honor of Watson being named this week’s Community MVP, the NFLPA will make a $10,000 contribution to his foundation or charity of choice along with an in-kind donation to him on behalf of our supporting partner Delta Private Jets. A limited-edition bobblehead will also be made of Watson and sold by our supporting partner Forever Collectibles at foco.com. The NFLPA will donate part of the proceeds from this collector’s item to their charity or foundation of choice. Watson, along with the other 2018 Community MVPs, will become eligible for this year’s Alan Page Community Award, which is the highest honor that the NFLPA can bestow upon a player.